I’ve been saying for almost 20 years that I didn’t think Resident Evil 2 needed a remake. The original 1998 game has its flaws, and it’s a product of its time, but it’s aged as gracefully as you could expect. To my mind, it’s better to focus on new things than obsessively retouch the old, before you end up George Lucas-ing your own canon. The fans were persistent, however, so here we are. The natural point of comparison here is to the 2002 remake of Resident Evil on the GameCube. That game didn’t just shine up the graphics and gameplay of the original 1996 Resident Evil, but also added a lot of new content, most notably a new boss in Lisa Trevor. Whenever something was similar, they usually tweaked it just enough that someone who’d played the original game would still get surprised. 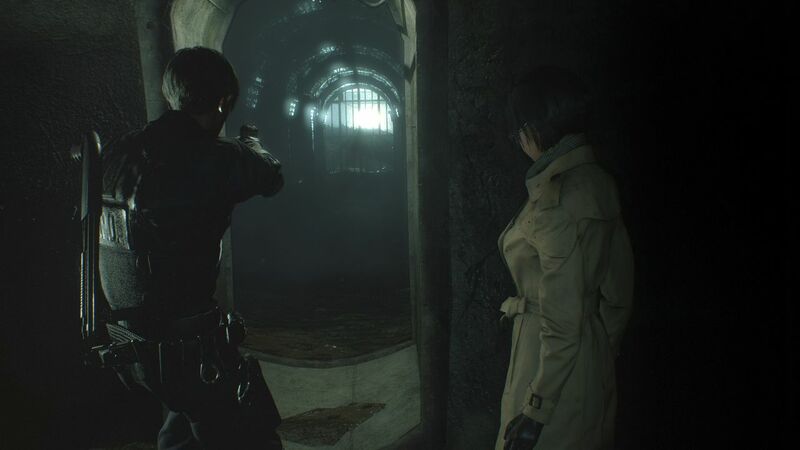 2019’s RE2 remake, however, is more grounded and less additive. It feels a lot more like a particularly faithful cover version, with many of the same beats as the original, but remixed and rearranged to keep things interesting. A lot has changed, but I was surprised by how much felt basically the same. If you’re coming in fresh, this is a reasonably successful update of the original ’90s survival-horror formula. It’s a frantic scramble for resources, where the deck is stacked against you from the beginning and things keep getting worse right up until the end. As you get a feel for the game, and figure out when to fight and when to run, it rapidly gets easier, just in time for the game to pull the rug out from under you again. 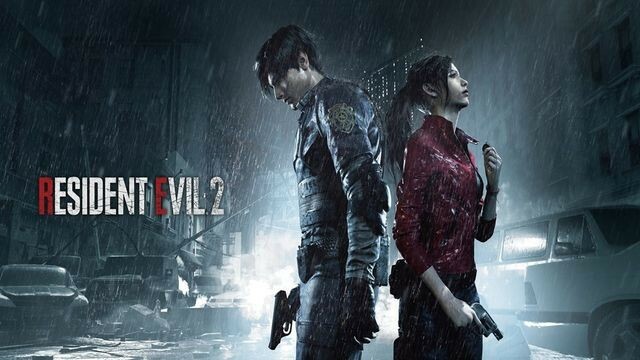 As with the original RE2, 2019’s version starts with Leon Kennedy, a rookie patrolman showing up for his first day on the job, and Claire Redfield, a college student looking for her missing brother, driving into Raccoon City late at night. Both of them happen to stop at the same gas station, right in time to discover they’ve accidentally stumbled into the middle of a full-scale zombie outbreak. Their next stop is the local police station, in an attempt to figure out what’s going on, only to find out that it’s probably the last place they should’ve gone. The RPD’s been under siege for days, and it’s only safe by comparison to the streets outside. 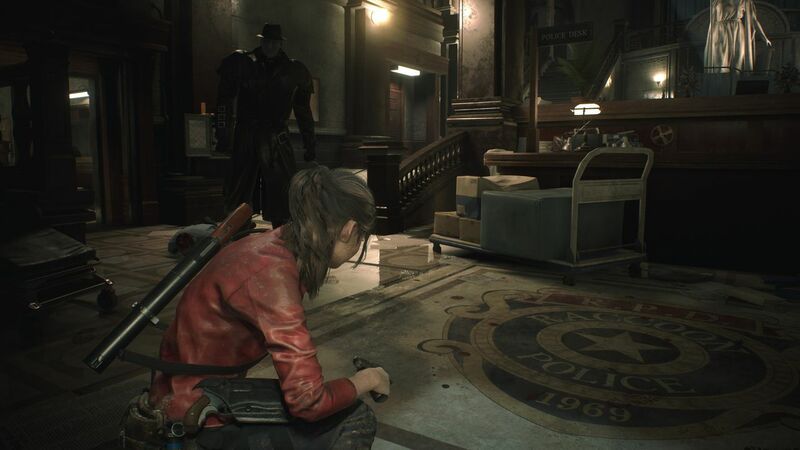 The 2019 RE2 is heavy on suspense and slow-building dread, with an understated soundtrack and a constant atmosphere of decay. Everything around you is constantly broken, well past any hope of repair or even cleanup; the institutions are corrupt, the people are infected, and the cleanest environments are none-too-secretly the worst places to be. It’s the same quantum leap in stage design as you saw from the 1996 RE to the 2002 version, but across four generations of technology. Worse, this is the rare zombie game where the individual zombies are actually scary. 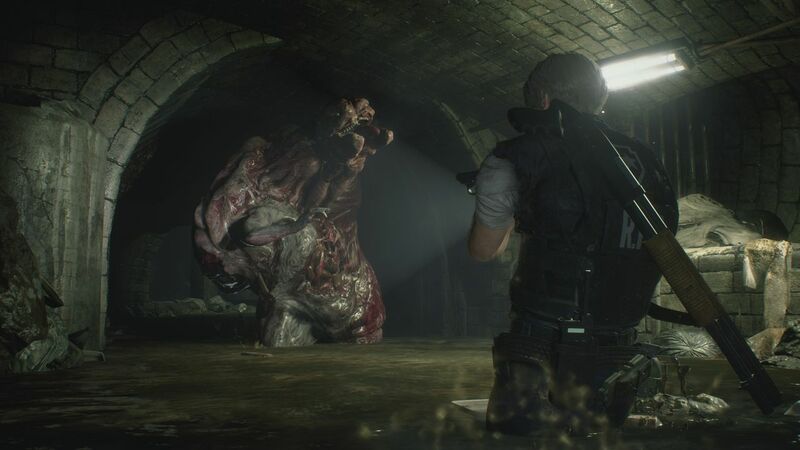 They aren’t just dangerous due to sheer numbers or resource scarcity; an individual zombie in RE2 2019 does a lot of damage if it’s able to get a piece of you, has a seemingly random amount of health, and unless its head is gone, there’s a chance that it’s still alive enough to fasten onto your leg. I’ve seen a simple run-of-the-mill cop zombie take a full cylinder of .45 rounds to the forehead and still have a skull afterward. You always have to take even a single zombie seriously, or else burn higher-end weapons–explosives, shotgun shells, fire–to make sure they stay down. The zombies aren’t just cannon fodder to kill time until the bigger monsters show up; they’re a constant danger. You pick either Leon or Claire to play at the start of a new game, and beating that scenario opens up a “2nd Run” option for the other character. In practice, this doesn’t change much, which is probably the most disappointing thing about the remake. 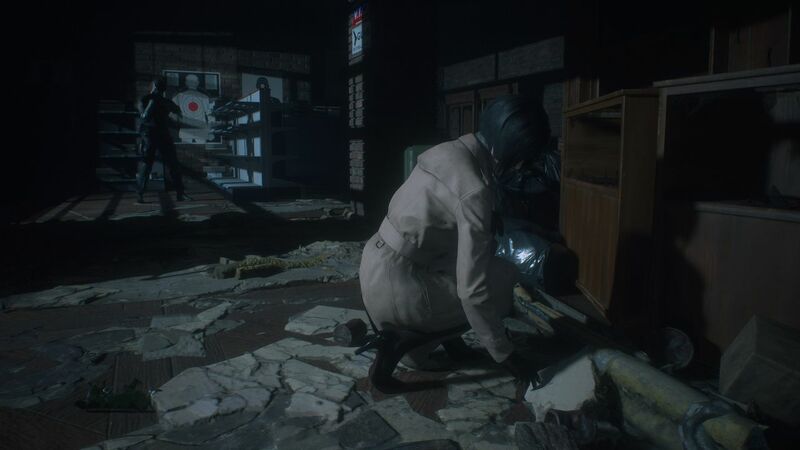 Both Leon and Claire solve many of the same problems, have to find many of the same items, and deal with some of the same threats, whether it’s the 1st Run or the 2nd. Both characters even fight the same penultimate boss in the same room, complete with a major shared NPC dying in two different and incompatible ways. It’s not just a flaw in the narrative; it’s actively weird, like a cosmic record skip. 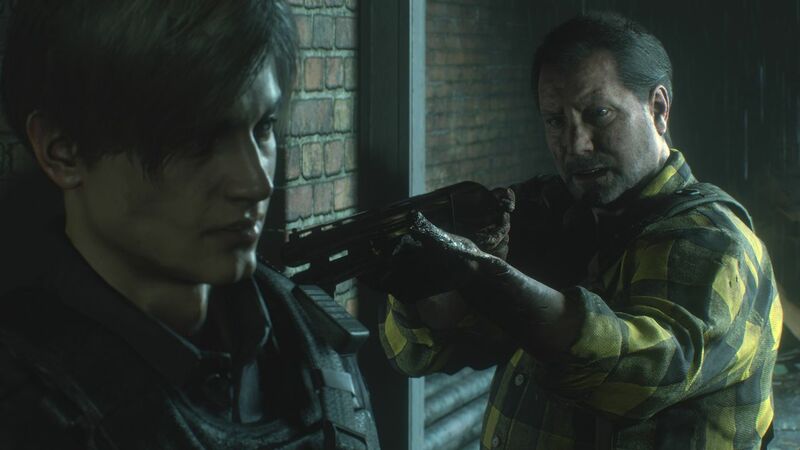 By comparison to the original RE2, where a lot changed depending on which character you played as first, not least of which was which antagonists they’d be fighting, the 2019 edition can’t help but feel weak by comparison. Your first run through the game, however, is a solid, memorable experience, and if there’s a star of that show, it’s the Tyrant. “Mr. X” was in Scenario B of the original RE2, but all he’d do is occasionally show up to try and cancel your Christmas. If you fought him and won, it was even resource-neutral most of the time, as he dropped ammo when you knocked him out. He had a couple of good jump scares under his belt, but Mr. X just wasn’t frightening overall. That’s not the case anymore. 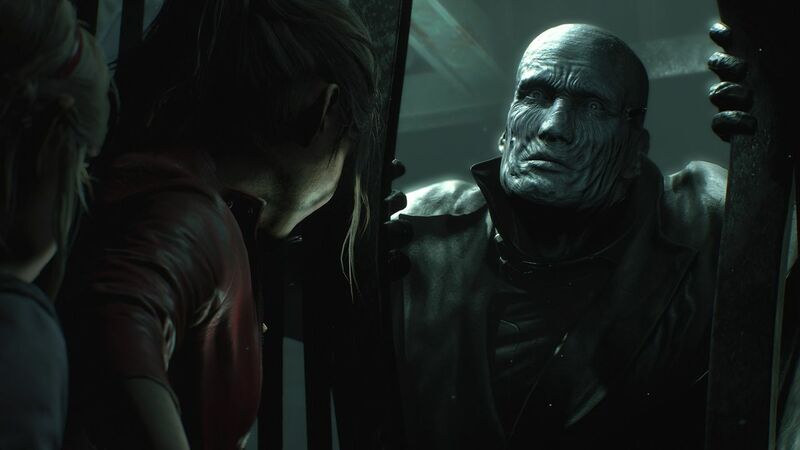 From the moment Mr. X makes the scene in the new RE2, he’s a looming background threat. He doesn’t show up at fixed intervals anymore; now he patrols the RPD, his footsteps audible from three rooms away, looking for you with a single-minded determination. He’s not hard to outrun or outmaneuver, but you know he’s always there. His first appearance is timed almost to the moment when you might be feeling like you’ve gotten a handle on the game. From that point forward, every time you accomplish anything, it’s either despite Mr. X’s presence or he’ll show up immediately, because he heard you were feeling a sense of triumph and he wanted to strangle that in its crib. Mr. X does have some attached systems that are easy to figure out and subsequently exploit, but like most of survival horror, he’s all about what he makes you feel on that first, panicked run. 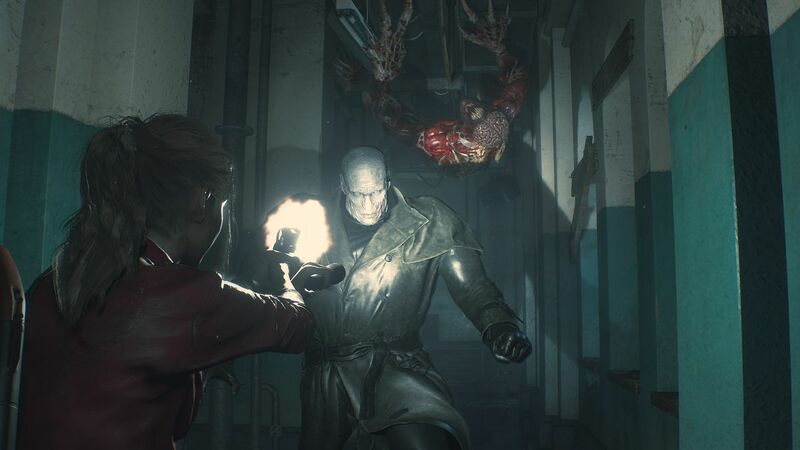 When you’ve got two bullets to your name, you’re at half health, your character’s grunting in pain with every step, you have no idea what to do next, and there’s a seemingly unstoppable, bulletproof killer hunting you, that’s when RE2 is at its best. This is how survival horror is meant to feel. I am a little salty about one aspect of the gameplay, though, which was also irritating in RE7 and some of RE6. 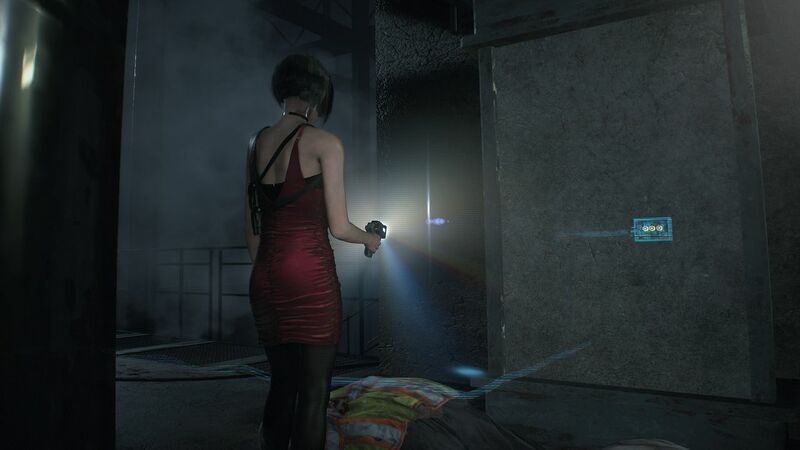 A big part of RE2’s design revolves around targeting enemies’ weak spots. In most fights, it’s just to maximize your ammo efficiency, but there are several where it’s necessary to do any damage at all. It’s usually obvious where you’re supposed to be shooting–when in doubt, aim for the most colorful parts, or just for the head–but it requires a degree of precision that’s difficult at best with an Xbox or PS4 controller. I’d go so far as to say that if you have the means, RE2 is going to play best on mouse and keyboard. Otherwise, it’s a recipe for wasted ammo and frustration. You can play it with a controller and do okay–I did–but the value of a lot of your weapons is directly proportionate to your aiming ability. 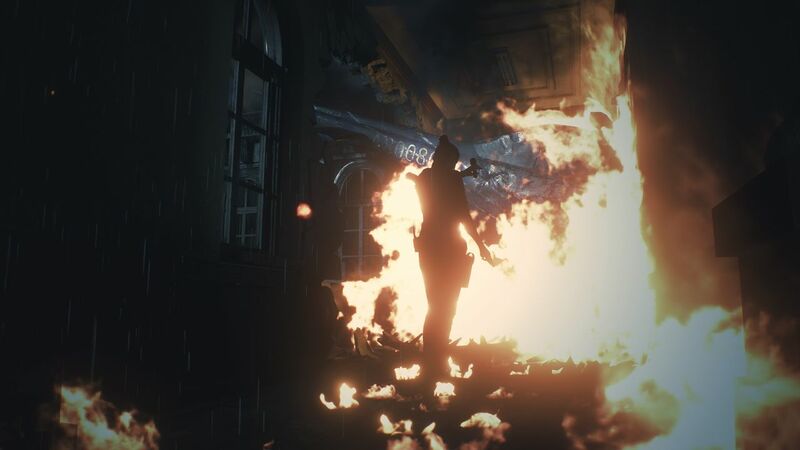 All in all, though, I spent a good 25 hours with the Resident Evil 2 remake before noticing it, which means it’s doing something right. This doesn’t feel like a step forward for RE2 so much as a straight reimagining, like this is what Capcom would have made in 1998 if the technology existed at the time. If you’re familiar with the original, you’ll find a peculiar blend of nostalgia and surprise here, along with a faithful update of the survival-horror mechanics that put the genre over the top; if you aren’t, this is a tense, suspenseful ride, with likeable characters and a surprisingly grounded plot. 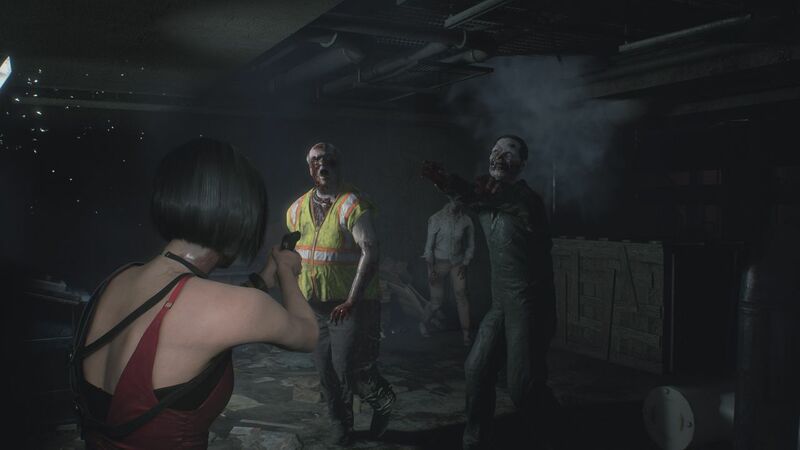 I’ve got more than a few nitpicks–Claire needs better guns–but if this turned out to be the pilot project for a new generation of survival horror, I’d be ecstatic. This review is based on a digital copy of Resident Evil 2 for the PC provided by Capcom.